While it was a forgone conclusion, US Team captain Jim Furyk has made it official by naming Bryson DeChambeau, Tiger Wood and Phil Mickelson as three of his four captain’s picks for this month’s Ryder Cup, which kick off at Le Golf National in Paris from September 25th. Furyk made the announcement today at a press conference ahead of Thursday’s BMW Championship, which is the third in the series of FedExCup Playoff events. The final captain’s pick will be made following the conclusion of the BMW Championship with most of the money on Tony Finau, who finished second behind the red-hot Bryson DeChambeau at the Northern Trust and then tied for 4th place at last week’s Dell Technologies Championship in Boston. With Woods now taking his place on the Ryder Cup team as a player, he will no longer serve as one of the team’s vice-captains. “What Tiger and I have decided is he will play in this Ryder Cup and we’ll name another vice captain. He’s been instrumental in helping not only the captains before, but me as well, as far as strategy, as far as planning, as far as pairings. I’m going to continue to use that knowledge and that strategy,” said Furyk. 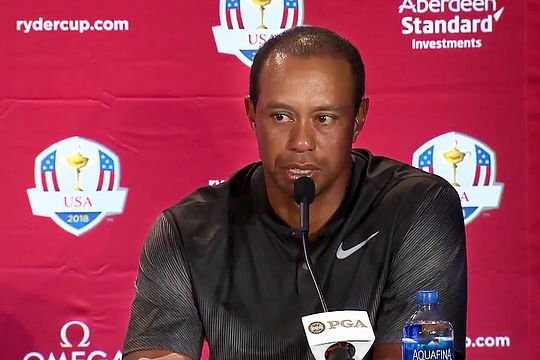 When Woods was named as vice-captain at the start of the year, he was in the process of making his way back from injury and hadn’t played on a Ryder Cup team since 2012. “At the beginning of the year, that was one of my goals, to make this team. I got the call from Jim, and he asked if I would serve as vice captain. ‘Absolutely. Anything I can do to help you out.’ Deep down I wanted to make the team. I hadn’t really started playing golf again. But still the goal was at the end of the season to make this team,” said Woods. Former world number one David Duval along with Zach Johnson and Matt Kuchar were announced as vice captains, adding to Davis Love III and Steve Stricker, who were announced in their roles earlier this year.